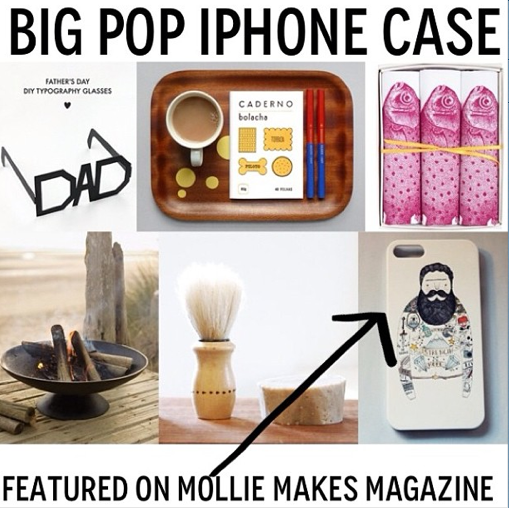 I don’t often get to the point where I am really proud of myself, but the lovely Joanne pointed out that I had been featured on the Mollie Makes Blog for things to buy for fathers day, I don’t think I have ever really been featured on a big company magazine. So I am so please, I was having a bit of a panicky day today, thinking to myself am I really ready, am I any good this has just given me a wonderful boast so thank you to the lovely people behind Mollie Makes. There are lots of new things in the shop notebooks, soon to be A3 prints, and tote bags. Next Post where my feet have been.. I remember seeing this and thinking it was your work, it has such a distinctive style.